Finnish boys, TJH87 seem to be on a roll just now. Lately they’ve been in the spotlight for their new EP ‘Break Away Kids’, which has been getting support by DJs such as Luciano and Treasure Fingers, as well as airplay from BBC Radio 6 and others. A little over a week ago, DJ Mag gained access to an exclusive piece of material, a fully recorded live gig of TJH87. 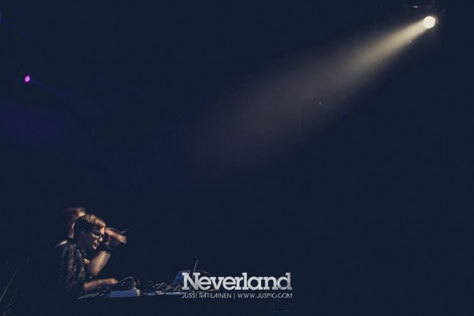 It was recorded from the Neverland 2012 Festival originally for the Finnish equivalent of BBC Radio, YleX. The recording contains a bunch of unreleased material as Timo Juuti and Hector 87 go through the paces with this 45-minutes set.